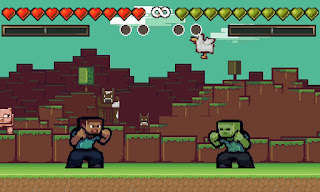 CraftFighter is a 2D fighting game made by CraftStudio. As hinted in the title, it is set in the universe of Minecraft. CraftFighter is a very simple fighter game, there are four different attack moves which are all the same for each character. The game has both a single-player mode and multi-player mode, but the game was meant for the multiplayer with friends. Everything about the game is arcade-like, the graphics, and music which all fit in together and make this game what it is, a fighter game. The only complaint I have is that this game is only meant for beginners into the genre of fighting games. If you're more of an advanced player when it comes to fighter games you'll become annoyed by the lack of fighting moves, how each character feels the same with fighting, and the lack of settings to tweak a match to your liking. 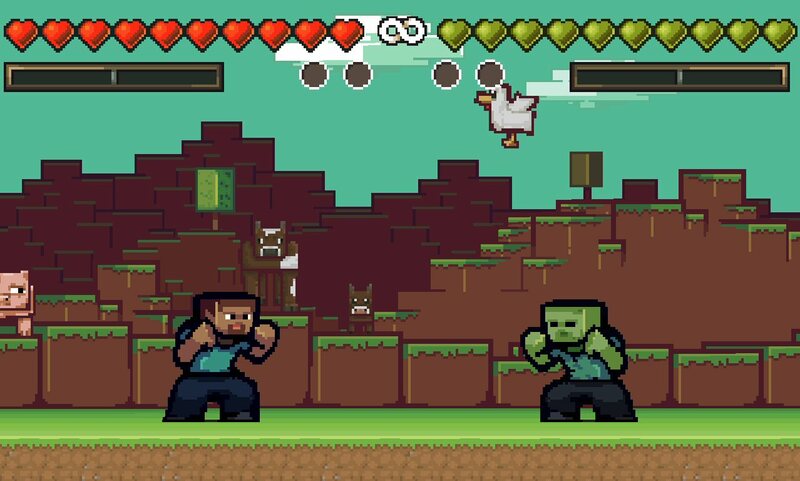 All in all, if you haven't played many fighter games, or enjoy the theme of Minecraft, you'll love CraftFighter.